When exactly is the best time to take your creatine powder? Here we cover all the options and lay out for you the optimal times for supplementation. Should you even take creatine? If you exercise competitively, you probably should. Take it from us – no matter what anyone says, creatine is no joke. It works, it’s safe, it rapidly increases your strength, and a lot more people should be taking it. But you already know this. After all, you’re looking for the best time to be taking your creatine! Below we’ve ranked the 5 best times to take your creatine. We were surprised by how little actual clinical research exists on this topic… So bear with us as we make conclusions based on both research and personal experience combined. 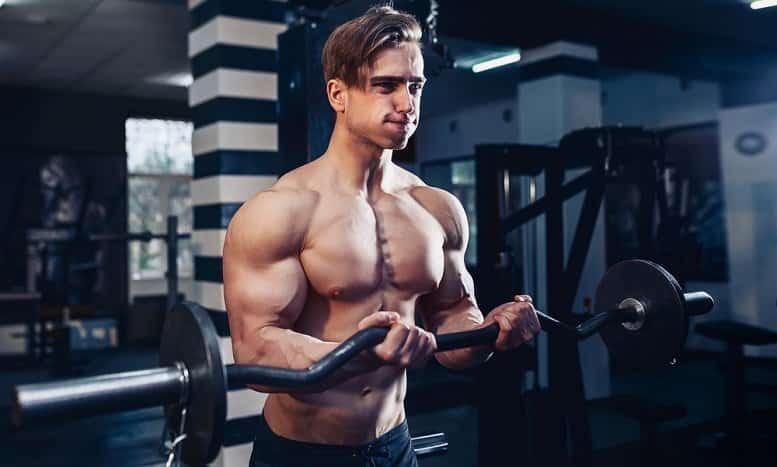 According to the most relevant research, taking 5 grams creatine monohydrate both pre and post workout is the most effective way to utilize creatine for strength and muscle gains. We learned about this method thanks to Jim Stoppani, and you can read his overview of the study here. But what caught our attention, as well as Jim’s – is that during this study, participants were also taking carbohydrates and protein WITH their creatine pre and post workout. This adds another variable to the equation – does protein and carbohydrates enhance the uptake of creatine? The answer is an astounding yes, and we’ve known it since this 1996 study! So, with that being said… The current research says that taking creatine both pre and post workout is the most effective method. However, we believe that the reason doing so produced such great results, was because participants were also taking protein and carbohydrates, which, elevated insulin enough to make creatine uptake significantly more effective. This has got to be our personal favorite time to take creatine – after your workout. For these reasons, it seems logical, and has been producing really good results. Likewise, it reduces any gastrointestinal issues that can arise from taking creatine alongside your stimulant-rich pre workout supplement. So then, when do you take creatine on days that you don’t work out? Should you still take it? Yes. We take it typically with the first meal of the day. This is one of the easiest ways to consistently take creatine. Either take it with breakfast, or with your first meal of the day if you practice intermittent fasting (which works). For these reasons, creatine with your first meal of the day is a reasonable and effective time. Pre workout is inevitably when the majority of people take their creatine. However, we are not firm believers. You take a stimulant-free pre workout supplement. And the issue with mixing your high-stimulant pre workout with creatine is that, it irritates your GI. When you irritate your GI, you’re not going to take in creatine very well. Even worse, you may be compromising the uptake of nutrients for hours. However, for many of you as well – taking 5 grams of creatine monohydrate on-top of your Jekyll and Hyde pre workout stack is the short-cut to disaster pants. Lastly, is taking creatine in the intra-workout window. We do not view this as a feasible time to be taking creatine at all. First, it takes time to uptake, so you are probably not going to feel its benefits during your actual lift. Second, creatine throws off water balance. Once you take it, this will draw water from your muscles into your intestines/blood… Which is bad for performance. And lastly, intra-workout really isn’t the time to be eating unless you are in some form of long-duration endurance exercise. But even then, taking something that effects water balance may not be the best of ideas. All in all, the top 3 times we specified for you to take your creatine are the most valid options. Do you HAVE to choose #1 because it’s #1? No, your lifestyle/body may be better off with #2 or #3. Feel it out, and find what works best for you. So, what creatine should I be taking? You can see our preferred creatine supplements here. 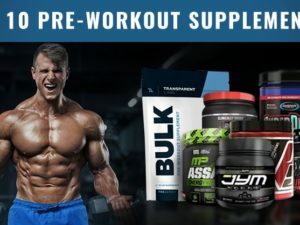 Do these rules apply to all types of creatine? These recommendations are mainly for creatine monohydrate. If you are taking something like creatine HCL, then you have more leniency and can probably get away with more pre-workout usage. 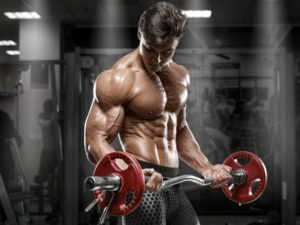 How much Creatine Should I be Taking? For the #1 pre and post creatine recommendation, that was 5 grams before and 5 grams after. However, most research says that 5 grams total per day is perfect. So, for any other time, just take 5 grams. If you are taking creatine HCL, cut the dosage in half. Remember what we learned from #1’s study… Taking creatine with food is way, way better than taking it on an empty stomach. So, if you want to instantly improve the results you get from creatine, begin taking it alongside some food that will stimulate a good insulin response.